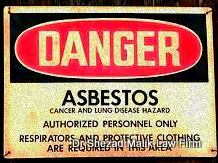 Asbestos Litigation and Mesothelioma Lawsuits are Called Toxic Tort Litigation. This type of lawsuit is typically brought against a manufacturer or supplier of a toxic chemical or dangerous substance that causes personal injury, illness or wrongful death. Information and commentary provided by Dallas Fort Worth Personal Injury Attorney Dr Shezad Malik. The Dr Shezad Malik Law Firm can be contacted in Dallas toll free at 888-210-9693 ext. 2. If you or a loved one has been injured from Asbestos Mesothelioma or Asbestosis, please fill out our contact card for a free consultation. The Dr. Shezad Malik Law Firm handles Asbestos Mesothelioma cancer cases, including asbestos exposure and asbestos lung cancer claims all over Texas and the United States.